Massive run-off from the far north has flood Nan and many parts. 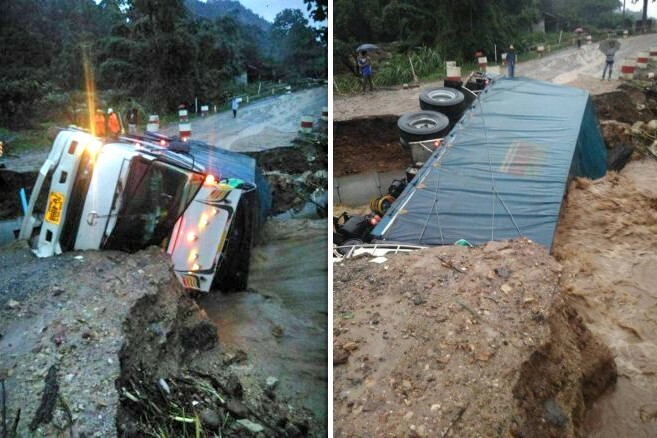 The 118 is cut in 2 places, just north of Doi Saket, a few km's apart. Quickest route around is through Phrao? God help us if all the trucks and Tour buses start using that road... far more windy and dangerous for heavy vehicles than the 118. Opened again today, albeit with quick-fill repairs which may last until next heavy rain. Had this happened in Cebu about 4 years ago, they did pritty much what KR just posted above and just left it for years and it was on the national highway heading south. When I was back about 6 months ago they were fixing it up. Hope the Thais dont take this long to fix the 118. All times are GMT +10. The time now is 15:41.